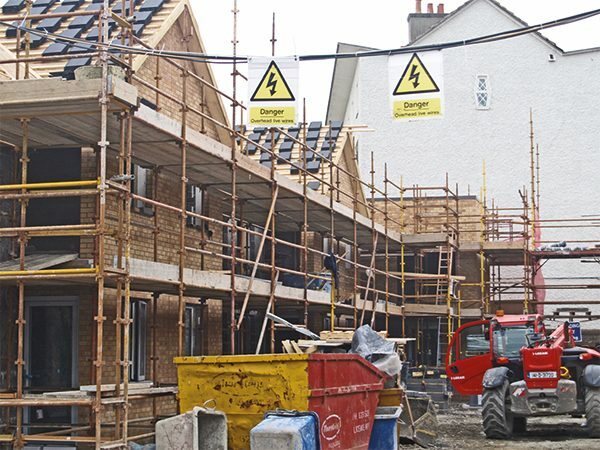 Royal Hospital Donnybrook Housing Agency’s Beech Hill Terrace accommodation project is on track to be completed for September. The address in Donnybrook was previously home to a dilapidated apartment block which was demolished to allow for the construction of these new homes. That apartment block, which was built in the 1960s, was so poorly insulated that its past residents were in fear that when they went to sleep, they might die of the cold if they touched off a wall. Those tiny flats are now gone and after a long, arduous battle to provide homes for the old and disabled, the Royal Hospital of Donnybrook (RHD) Housing agency will give these residents the keys to their new homes later this year. NewsFour met up with Kieron Moyston, site manager with Merrion Contracting at the Beech Hill Terrace site to find out what residents can expect in their new home. “Walk-in showers without a tray, so it’s flat with the floor, with a gully to take away the water, there‘ll be handrails and grab rails in terms of the bathroom for assisted living, there is a lift shaft going up to the first floor, with balconies right through, there are 20 rooms, including one on the ground floor which includes a visitor’s room and a common room,” said Kieron. Kieron, himself and his 14-member crew, have the project on track for a September completion. “There were an existing 16 units, but they were tiny and we are doubling them in size. Each apartment is approximately 50 square metres – before they were 25 square metres,” said Kieron. Donnybrook, which has been providing care for disadvantaged and disabled people for 270 years. The company has a charitable status and is a member of the Irish Council for Social Housing. As part of their strategic plan, they have ambitions to be the leader in providing high-quality housing for older persons and people with physical disabilities.